We have 2 new exciting opportunities for you to get more balanced and take better care of yourself! Manual Lymphatic Drainage Massage and Oncology massage, as well as Qigong classes! Claudia Glugsberger is a board-certified Massage Therapist and certified Manual Lymph Drainage Therapist, licensed in PA/NJ. Before graduating in 2002 from the Institute of Therapeutic Massage school in New Jersey, she completed a five-year education program with a major in Esthetics and Therapeutic Massage therapy at a private academy in Salzburg, Austria, while working at an exclusive spa retreat. In additional to her experience with traditional massage therapy methods, Claudia is also certified in Myofacial Release, Oncology Massage and Manual Lymph Drainage Therapy. While Myofascial Release will help clients with the relief of pain by relaxing shortened and tightened fascia, which is caused by insured muscle fibers and trauma, Oncology Massage and Manual Lymph Drainage Therapy will help clients with the reduction of scaring and edema, support the reconnection to the entire body, and speed up the recovery process, after having undergone mastectomy, breast and other surgeries. 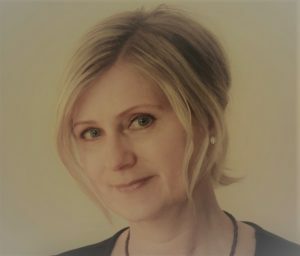 Her long experience and devotion to broadening her knowledge and experience in the discipline of therapeutic massage therapy allows her to tailor treatment plans for her client’s condition and needs, incorporating various treatment approaches and alternatives, resulting in quick improvements to treated conditions and overall health. Claudia is seeing clients on Monday afternoon/evenings and Friday mornings. Please contact the office to schedule: 215-741-1600. 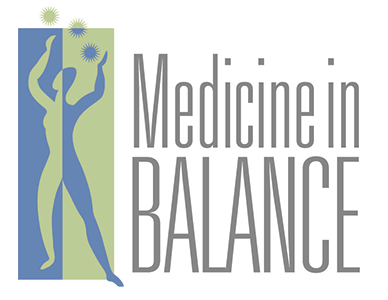 Amy Ward Brimmer, MA, CTAT, has been investigating mindfulness and movement since childhood. A certified teacher of the Alexander Technique (ATI), she has worked with opera singers at Yale, actors at Brooklyn College, and people from all walks of life since 1995. Amy spent 10 years as a childbirth educator and doula. She has been meditating for 20+ years and is a Qualified teacher of Mindfulness-Based Stress Reduction (MBSR). 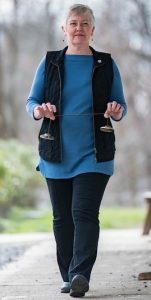 Amy enjoys “playing” Qigong every day, and has been leading Qigong groups since 2012.